We deliver the highest quality joinery and professionalism. We are versatile, and pride ourselves on always finishing jobs in time allocated and within the budget allowed. We are a privately owned company, started and led by creative and enthusiastic brothers – Shane and Adam Simpson. Our mission is to deliver the highest quality joinery and professionalism. We are versatile, and pride ourselves on always finishing jobs in time allocated and within the budget allowed. This is because it is the commitment to our customers and our desire to deliver on our promises that sets us apart from the rest. 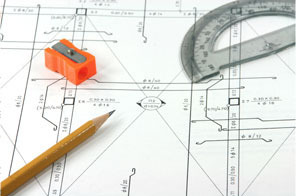 Our comprehensive service and expertise allows us to deal with projects of all sizes and complexities. This has given us the the ability to build quality shop fit outs, commercial fit outs, office fit outs and design innovative shop designs. S & A Simpson specialising in Project management, corporate fit out, shop fitting, State Rail infrastructure, hospital fit outs, laboratory fit outs, club fit outs and toilet partitions. We are qualified to handle all solid surface materials including Corian, Marblo, Hanex. We also supply and install Stone, Stainless steel, Coloured glass splashback & Spray our own 2 PAC Poly this cutting cost and quality controlling to precision. We have established a fine reputation in the commercial market place as quality cabinetmakers and shopfitters. By using a range of diverse materials and a blend of classic contemporary and modern tones, each of our creations reflect your individual personality and needs. S & A Simpson prides themselves on craftsmanship, ability to meet time expectations, responsiveness when problems do occur and personal attention to all clients. Our mission is to deliver the highest quality joinery and professionalism. We are versatile, and pride ourselves on always finishing jobs in time allocated and within the budget allowed. It is the commitment to our customers and our desire to deliver on our promises that sets us apart from the rest.